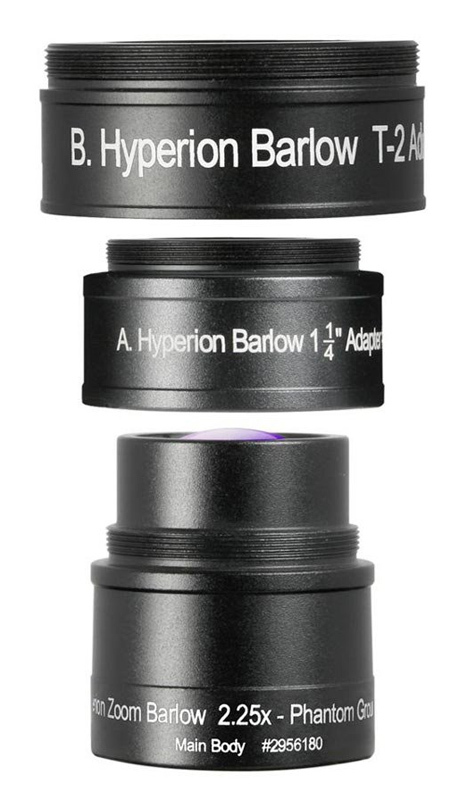 Converts the Baader Hyperion Clickstop zoom into a 3.5mm to 10.5mm high power zoom eyepiece for greater magnification when needed. Also connects via the included T thread adaptor to a T ring for high power astro imaging. Triplet lens design for anastigmatic flat field suitable to complement the high image quality of the Hyperion Zoom. Works with every version of the Hyperion Zoom eyepiece including the new Hyperion MKIII Zoom. Can also be used with a DSLR camera (requires a T-ring to suit you camera). 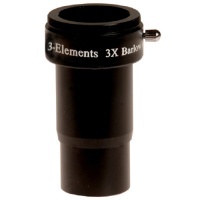 Magnification can be adjusted using optional T-spacers.